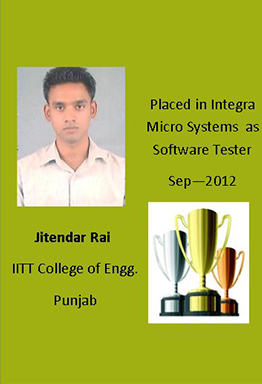 Laqsh conducted an orientation on software testing on Sunday, 20th November 2011, at IIIT-B Bangalore. The seminar was very informative and interactive. There was a lot of discussion on the job of a software tester, the skills required to be successful and the opportunities for growth. Students wanted to know if they could migrate from software testing to development. They also wanted to know the scope in software testing, the placement opportunities etc. Next Next post: Job fair on 4th February, 2012.